While Montana has maybe 1 million people, you’d never guess it by visiting one of the state’s national parks in the middle of summer tourist season. Glacier National Park and Yellowstone National Park are mesmerizing and definitely worth a visit, but the exceptional scenery doesn’t stop outside of the park boundaries. Instead, you can visit one of the dozens of state parks or recreational areas scattered throughout Montana that have just as many opportunities for adventure. 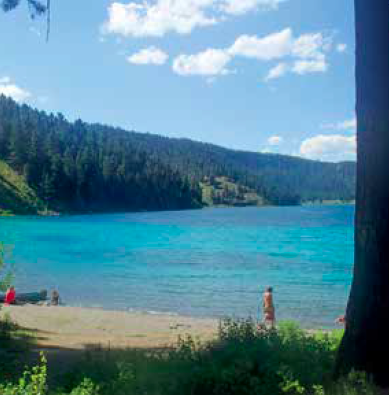 In the new edition of Best Tent Camping: Montana by Christina and Jan Nesset, which is hitting shelves and virtual shopping carts just in time for summer vacations, you can find five-star, family-friendly campsites to take your kin. Flathead Lake is a sparkling northwestern Montana jewel carved thousands of years ago by receding glaciers. At 28 miles long, it’s the largest freshwater lake west of the Mississippi. 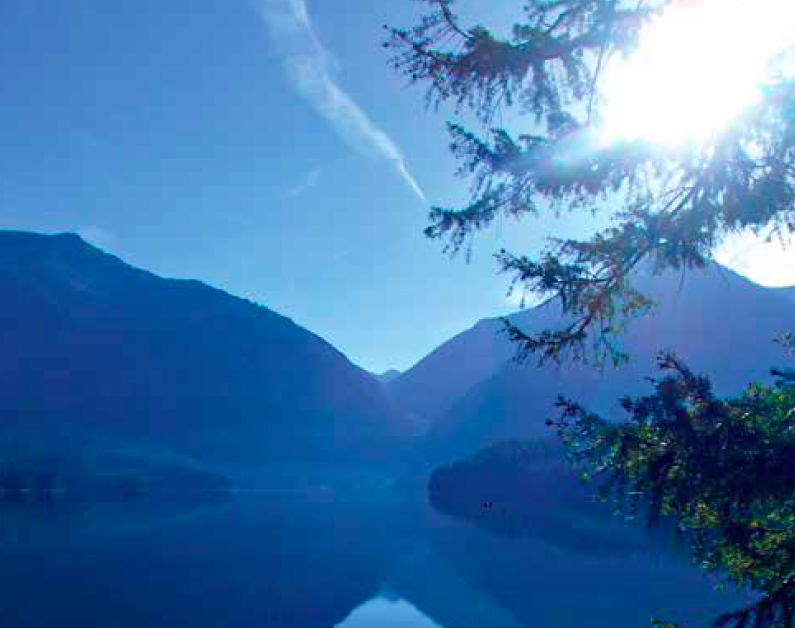 The campground offers bountiful opportunities for families to swim, fish, and go boating. 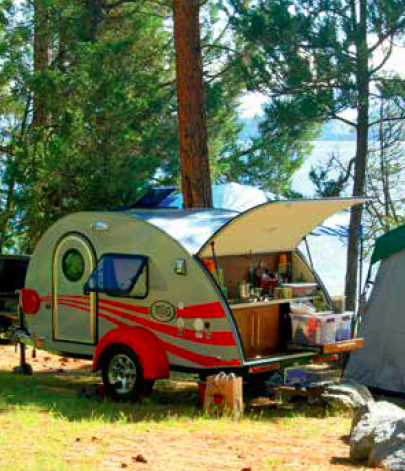 This campground is also one of the best locations from which to launch an exploration of Wild Horse Island. Along with the small namesake herd of wild horses, you may encounter bighorn sheep, eagles, osprey, mule deer, songbirds, geese, owls, and a variety of small mammals. For a somewhat different tenting experience, consider renting one of the yurts at Big Arm. 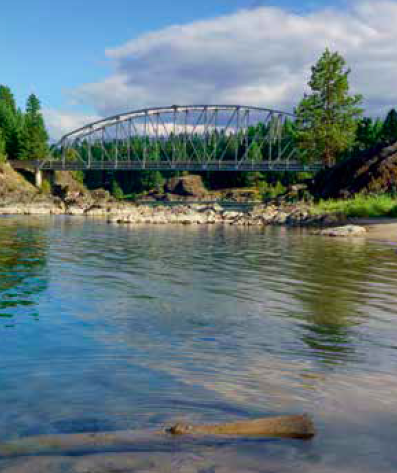 Thompson Falls State Park Campground, nestled next to the world-class Clark Fork River, is a great destination if you’re looking for a variety of family activity options. Fishing in the Clark Fork is a prime draw, particularly for fly-fishing devotees. Kids can ride their bikes around the campground loop and try to spot wildlife. Floating the Clark Fork is an excellent way to spend a sunny day, whether you’re in a raft or canoe, and the state’s best huckleberry-hunting country is found throughout this area. Part of the Hidden Lakes chain, both Cliff and Wade Lakes are surrounded by cliffs that make shoreline fishing difficult but provide excellent habitat for the prairie falcons, bald eagles, and osprey that call this area home. The water is a crystal-clear emerald with huge boulders visible beneath the surface, hiding healthy populations of crayfish. Cliff Lake is more isolated. Its long and narrow shape is a flatwater paddler’s dream, with coves to investigate and plenty of places to pull ashore and explore. 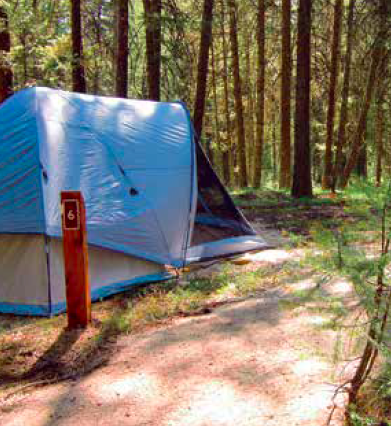 Three Frogs Campground is newly reconstructed and full of activities for families. Cooling off in the lake is a popular pastime, and the beach and roped-off swimming area can get crowded on warm summer weekends, so stake out your spot early. Motorboats and water-skiers dominate on weekends, but even then there are still quiet spots for canoes. The entire Lake Como area has always been a significant wildlife corridor, and all hiking trails provide opportunities to observe a variety of species. Located in Darby is the historic Darby Ranger Station Visitor Center and Museum. It provides informative displays about Depression-era Civilian Conservation Corps and U.S. Forest Service history. 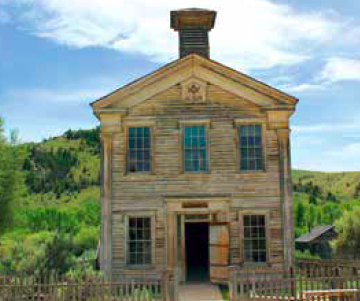 If you love history, you’ll love Bannack State Park Campground. This town has it all—gold mining, politics, lawlessness, romance, vigilantes, boom, and bust. Rather than being developed and commercialized, it exists in a state of arrested decay, allowing visitors to explore the abandoned buildings in ghostly silence. If families want a true historical experience, try the tepee that’s available for rent at the campground. Large enough to fit six comfortably, it will take you on a journey to the days before gold was discovered.